BP Vickery et al. 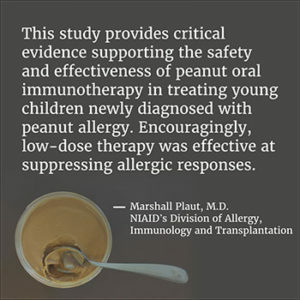 Early oral immunotherapy in peanut-allergic preschool children is safe and highly effective. Journal of Allergy and Clinical Immunology DOI: 10.1016/j.jaci.2016.05.027 (2016). 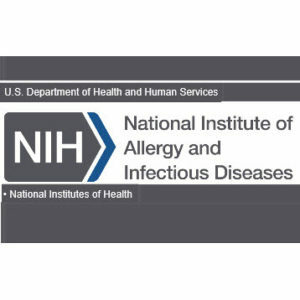 Marshall Plaut, M.D., chief of the Food Allergy, Atopic Dermatitis and Allergic Mechanisms Section in NIAID’s Division of Allergy, Immunology and Transplantation, is available to discuss the findings.